IWISTAO'S BLOGGER : Sound of nature -- Wistao NFC Bluetooth 4.0 HIFI Bluetooth acoustics hit market, wireless HIFI come from here! Sound of nature -- Wistao NFC Bluetooth 4.0 HIFI Bluetooth acoustics hit market, wireless HIFI come from here! 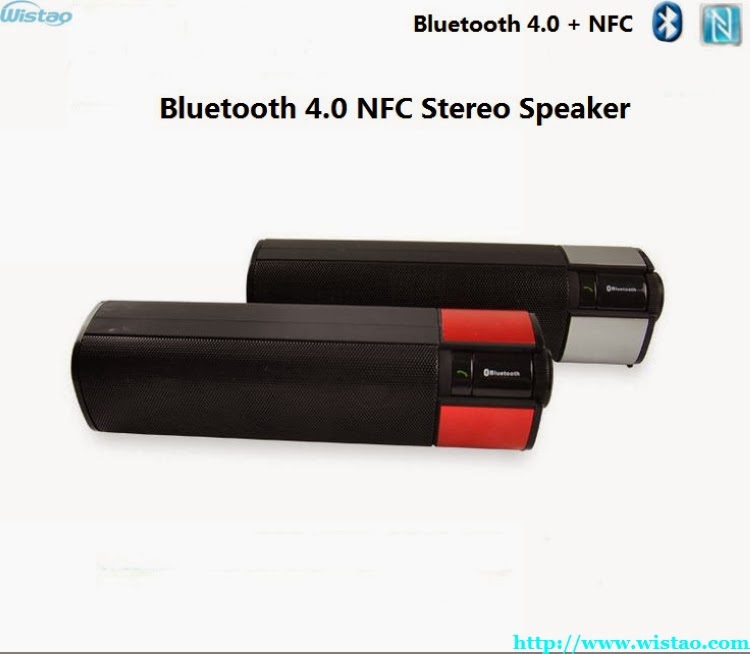 It has been used in high-end Bluetooth stereo that CSR's Bluetooth 4.0 chip with apt-x Professional codec technology widely, and become a trend in wireless HIFI acoustics. 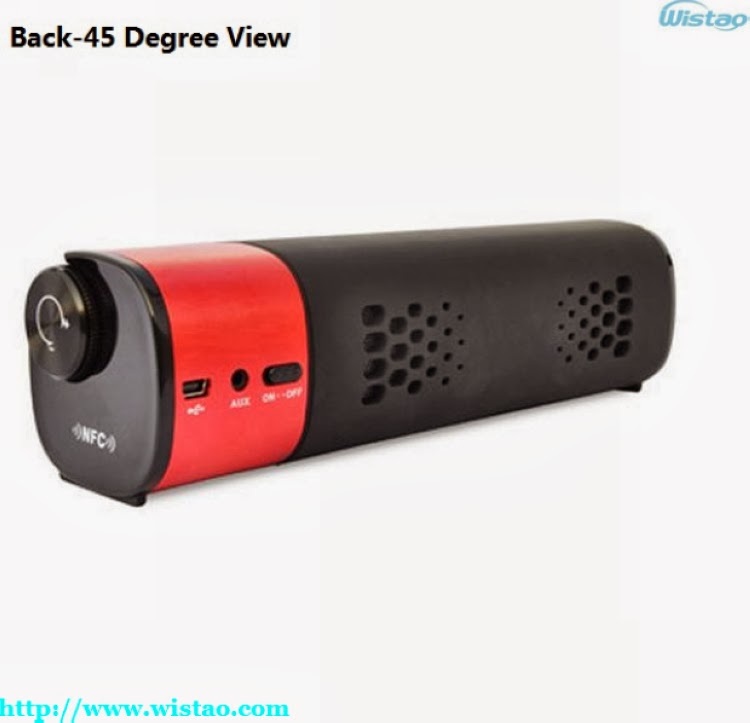 Recently, Wistao Technology released a pair of separated HIFI tube Bluetooth acoustics, and two HIFI Bluetooth speakers which based on CSR Bluetooth 4.0 technology and apt-x decoding all. For both Bluetooth speakers, one is a 2.0 channel stereo HIFI Bluetooth speakers, the other is an integrated desktop HIFI tube Bluetooth acoustics. These HIFI Bluetooth acoustics are two-channel stereo output, adopt CSR Bluetooth 4.0 technology, and support CSR apt-x professional decoder. All cabinets of HIFI Bluetooth speaker is made of high quality MDF (medium density fiberboard); separated HIFI tube Bluetooth acoustics and integration Desktop HIFI tube Bluetooth stereo, whose preamplifier is made of tubes, and their out power are from 2 X 25W to 28W, fully to meet the demand for enjoying music indoor . Cabinet of speaker are designed and tuned by professional engineers and its circuit is completed to adjust by the UK experienced engineering team in order to make sure it more perfect sound quality, let you enjoy HIFI music. Overall feeling is, that surging tide of audio sound, powerful bass, treble highly resolving power, and human voice being rich sense of the scene, accurate sound field positioning, like a "good voice" singer standing in front of you…... In addition, all models above can be built-in NFC chip as an option, so you don’t need to open the Settings menu of smart mobile terminals, and can quickly achieve Bluetooth pairing, greatly enhancing users’ experience. And if you download and install a lossless music formats player (such as WMA, AAC, FLCA, AIFF, etc. ), it will achieve to reproduce HIFI music with a wireless way .Due to adopting Apt-x professional audio decoding technology, its performance will be strived for further improvement to compare with normal speaker, or even pull away, and easily to achieve CD-quality sound. Main characteristics of CSR APTX audio codec technology is low-power, low-latency (when sampling frequency is 48 kHz, it is less 2 ms), fault tolerance (When BER <1:10,000 perfect to regenerate), high-quality, etc. Its high sound quality is main reflected in frequency response range of 20Hz-22kHz, supporting 16bit, 24bit audio, sampling frequency up to 48kHz, dynamic range in 16bit> 92dB, 24bit > 120dB, but sound basis of dynamic range is 96dB for minimum sample rate of 44.1kHz CD-quality of 16bit stereo (entry-level quantization bits). From comparison above data of apt-x, we can draw a conclusion that it is not difficult to see how it reach and exceed t CD quality. 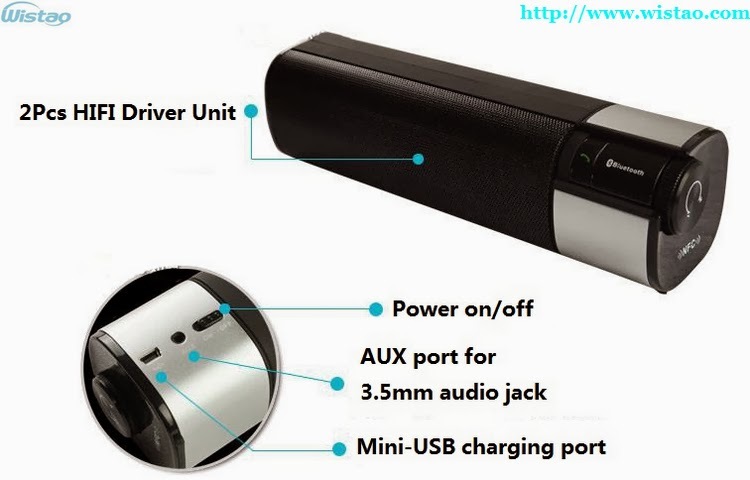 It can break through the barriers of bandwidth with Bluetooth connection to transmit excellent reproduction of stereo sound with CD-quality stereo audio. At the same time, CSR provide Clear Voice Capture (CVC ®) technology for high-end Bluetooth stereo acoustic echo and noise cancellation. (More specific features of apt-X audio decoding technology, please see "Bluetooth 4.0 version of the CSR series chip key features of" and "CSR Bluetooth 4.0 and apt-X high-fidelity audio technology"). Perhaps, these figures may sound so professional that you are boring, ok, let look at evaluation to apt-x from manufacturers such as Nokia, Samsung. Nokia's evaluation it that apt-x audio codec technology of CSR can break through the barriers of bandwidth, with CD-quality stereo audio through a Bluetooth connection to a wide variety of consumer electronics applications Transfer ". Samsung's evaluation is similar, CSR apt-x technology demonstrates superior stereo audio Bluetooth connection quality, and its completed audio frequency bandwidth consistent complies with high-fidelity performance. What are you waiting for still? Why do not you work together with us to enjoy this fantastic wireless HIFI music!